Back in 1986, while we were at university, my friend Pete (who would later be instrumental in getting Beholder online) and I started selling screen-printed T-shirts. Unlike drugs barons, we thought we could be T-shirt barons. I’d do the designs (often for university clubs) and Pete would sort out the printing, and then we’d bomb all the way down to Southampton in his van to pick them up. 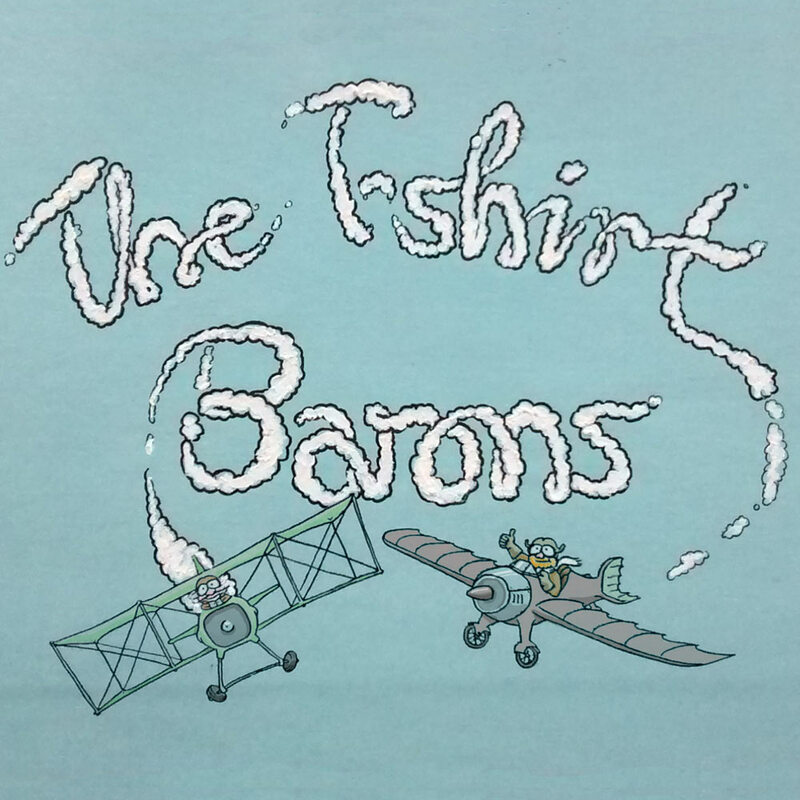 Naturally, we made T-shirts and sweatshirts for ourselves too, featuring “The T-Shirt Barons”, which by then I had changed to suggest aces, like the Red Baron (whom I’m sure I’d first encountered through Snoopy in the Peanuts cartoons). This is a scan from a copy made on blue paper at the time — the sky-writing was coloured-in by hand with white paint, as it was on the T-shirts (the planes have been coloured digitally here).